I first met Ryan in high school. He was younger than me, and not in any of my classes, but he was one of “those” people with a sparkling personality that you can’t help but notice. I met Ryan again when he was a student at the University of Northern Colorado, the fall after I graduated from the same school. I was working there as an administrative assistant and Ryan was on the University Program Council. He wanted to be a chiropractor and he was just one of the nicest students on the entire campus. Ryan is pretty unforgettable, so when I saw his name come up on Facebook, of course I friended him right away. 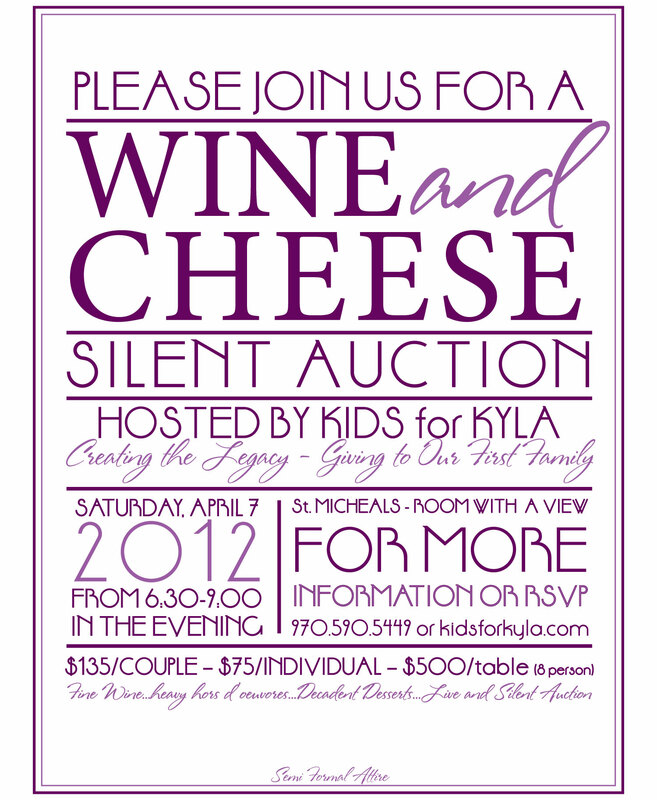 Amanda: You’ve started a nonprofit called Kids for Kyla to help families trying to adopt or conceive with intervention. Can you tell us about your goals and the families you serve? Ryan: Kids for Kyla is a foundation that my wife and I birthed out of a heart to help families who are going through the adoption and/or infertility process. For us, one of the most sacred things for a couple is the opportunity to create a family legacy. It broke our heart that for some couples, like us, it wasn’t so easy just to get pregnant and have a kid. For couples like us, the prospect of building a family became an extremely expensive endeavor. Our goal is to create a foundation that can raise money to help break down the financial barrier standing between these couples and the family legacy they always dreamed of. Amanda: You founded this charity in memory of your daughter Kyla, how did she give you the strength to help others? Ryan: My daughter Kyla was our miracle baby. After spending countless years trying to get pregnant and spending thousands of dollars we ran out of options. We were out of money and the reality of having a child seemed hopeless. We decided to place or faith in God and work hard to be as healthy as possible. Miraculously, we got pregnant. The pregnancy was textbook…no problems. When Kyla was born she did not start breathing on her own, starting an inflammatory response in her brain the would ultimately take her life. We knew that there had to be a reason for her life, more than just the pain. We learned that since she would die of brain failure that her organs were strong, especially her heart. We knew that her chance of living was 0% but she could share her life to change the life of another little girl and another family. Amanda: As a heart mom whose child was temporarily on a heart transplant waiting list and who may someday be on one again, I cannot thank you enough for Kyla’s gift of life to another child. What did that gift mean to you at the time and what does it mean to you today? Ryan: At the time it gave us a peace that her life would not be wasted. It helped us to work through our grief and loss to know that Kyla’s heart gave another family the opportunity to give their little girl a second chance at life. We knew that the recipient was a little 62 day old twin girl. Kyla’s heart helped a little girl to still have her twin sister and for the parents to save their little girl. Amanda: As a dad (our first male cause warrior) if there was one thing you wanted people to know about infertility or how it impacts a couple, what would it be? Ryan: Infertility is not just another diagnosis, it isolates a couple into a world that most will never understand. Everyone wants to fix you and give you advice as if you hadn’t thought of anything on your own. The treatments are often invasive and makes the individual feel so very inadequate. If you know a couple struggling with infertility they need your support and unconditional love. They are not looking for you to fix them, just love them no matter what. Amanda: What advice do you give other couples who are going through the challenges of infertility and waiting for adoptions? Ryan: #1 focus on each other…rarely will it ever be a quick or easy process. You will be misunderstood, and you will have a lot of well meaning people saying stupid hurtful things. They are jut trying to do something and they just don’t know what to do, you will be the only people who truly understand each other. Amanda: Often, when we have a loss or a very sick child, people don’t know what to say. I think that is true with infertility struggles as well. What advice would you offer well-meaning people who don’t have the right words but still care? Remember that these things change us forever, we will never be the people we used to be. Amanda: Where would you like to see Kids for Kyla in five or ten years, what are your goals for the organization and the people you help? Ryan: We hope to have a large endowment fund that we could generated hundreds and thousands of grants to assist thousands of families. We hope that the families that we help would turn around and give back so that we can keep supplying grants future families. Amanda: You have a big event coming up (Wine & Cheese Event), please tell us about it and how we can help. Ryan: The biggest things that we need help with is spreading the name and mission of the foundation and to get people to attend. This is our first year, we want to make it a great first event that will grow in the future. We can also use some larger ticket items for our auction; hotel stays, golf packages, etc. I want to thank Ryan for sharing his story and for being a Cause Warrior who wants to help other families attain their dreams of parenthood. I also respect and admire that his organization supports couples seeking biological interventions AND adoption, so that they are supported in the options that best meet their own needs. Since Kyla’s heart saved another little Heart Warrior, I consider Ryan and Kim Heart Parents. They are a very amazing couple, and I hope if you live in Northern Colorado, you will look into their event and support them in their efforts to help others. This is a wonderful interview, Amanda. Ryan and his wife have done an amazing thing by turning their experience with Kyla into service for parents who need their support.